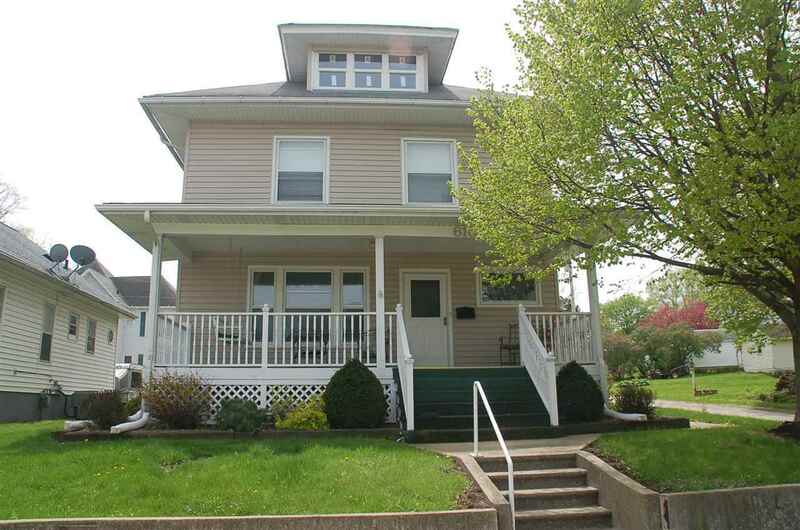 This well cared for two-story has been updated keeping the original character in mind, with beautiful original woodwork, open stairway, oak columns and leaded windows. The kitchen has been updated and features stainless steel appliances and center island, with a formal dining room that opens to the front living room and covered front porch. The second level has a master bedroom plus two additional bedrooms and a full bath, and the attic has been finished as a a potential 4th bedroom or additional family room. The home also has lower level laundry and a remodeled 3/4 bath. Relax on the private back yard patio with access to the 2 car detached garage. Call today for a showing on this property just blocks from Wings Park & the Oelwein MS/HS Campus! Included: Stove And Refrigerator To Remain.